The Fight of the Century is upon us. Can the master boxer keep his undefeated record and tame the marauding Pacquaio? Or can the 8 weight champion force the defensive fighter out of his shell and land enough punches to win enough rounds to take the fight? The fight of the century is now two days away, and the world will finally get to see this generation&apos;s best defensive boxer square off against the best offensive boxer for a combined $250 million purse. 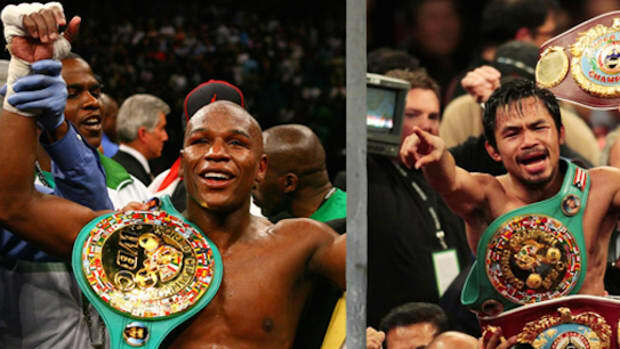 Floyd Mayweather and Manny Pacquiao have been circling each other for half a decade now, teasing the public and boxing community with implications of a fight, but never committing to it for one reason or another. 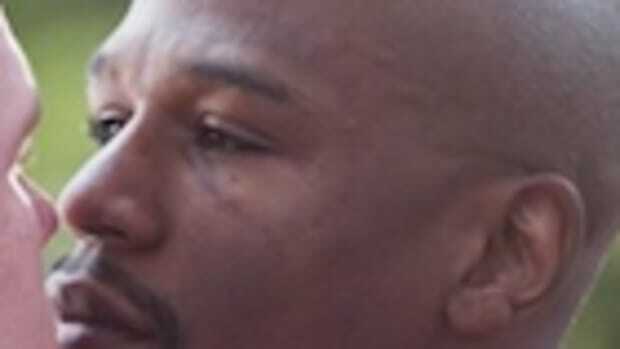 It is widely perceived that Mayweather has been at fault for not making the fight in the past. First, it was drugs testing - Mayweather refused to fight Pacquiao unless he submitted to Olympic style drug testing - an unheard of protocol at the time. Then the two could not agree on money. Mayweather offered Pacquiao a flat fee for fighting him, which would have been a tiny fraction of what he would have made. Pacquiao rejected the offer and both went on to make less money with inferior opponents. This game continued for years, with Mayweather moving from HBO to Showtime, and Pacquiao losing two fights in a row (one by controversial decision and the other by brutal knockout) making the fight all but a faint dream. As Pacquiao roared back from his defeats, uncharacteristically took to social media (and a funny Footlocker commercial) to shame Mayweather into taking the fight. The immense pressure from the public and the boxing world then got so intense that no one would have accepted Mayweather fighting anyone else. 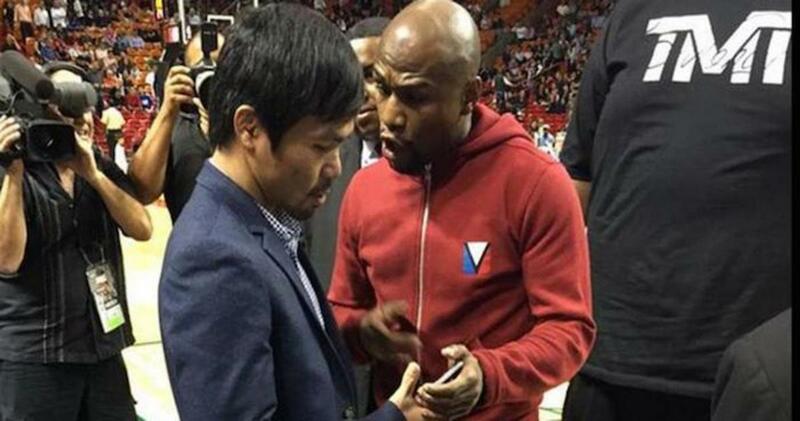 And even then, the fight nearly did not take place until a chance series of events culminating in Mayweather and Pacquiao appearing at the same basketball game, agreeing to fight then forcing the networks and promoters to come together and make a deal. 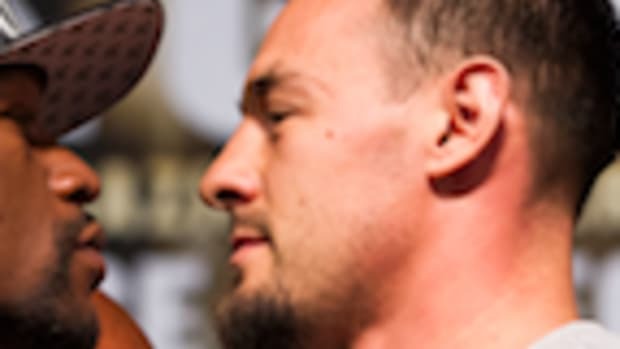 Now the fight is set, and the duo stand to make not only a career high payday, but will participate in what will be the biggest, most lucrative boxing event in history. So who wins this epic battle? Floyd Mayweather is the odds on favorite for a reason. He is undefeated, has been a world champion for 17 years, and is universally recognized as being the pound for pound best fighter on the planet. 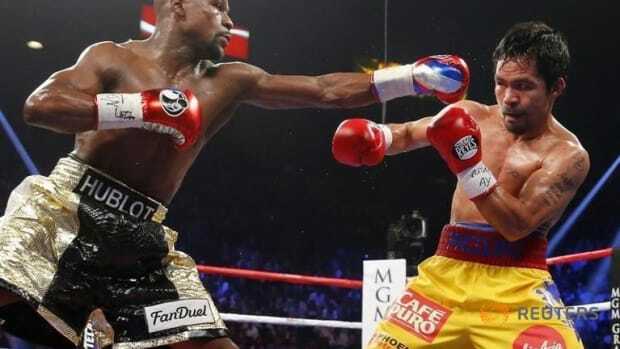 Mayweather is the true definition of a sporting genius - a defensive wizard with laser like accuracy, blinding hand speed and other worldly timing. 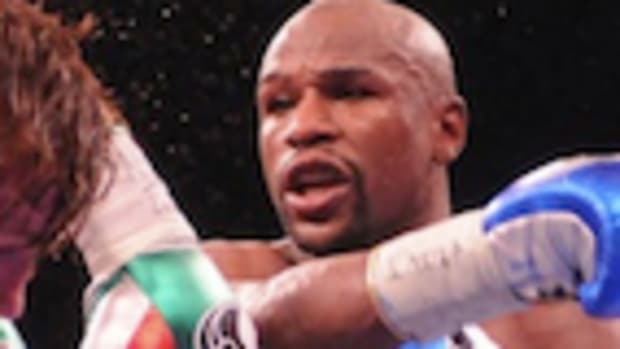 Mayweather is a master of the art of making opponents miss and making them pay, using just enough effort to win virtually every round he has ever fought. Mayweather is supremely relaxed when he enters the ring, feeling his way through the fight without rushing into exchanges. He takes a couple of rounds to figure his opponent out, then sets about dismantling them over the remaining rounds. He does this by taking away his opponent&apos;s best weapons and forcing them to fight where they are not comfortable - an astonishing feat made possible by his mastery of every aspect in boxing. Mayweather can fight going forwards, backwards, side to side, from range, or up close. He can be defensive or aggressive depending on the situation, lead or counter, and even brawl when necessary. Mayweather fights at a pace he is comfortable at and will not be dragged into anything that takes him out of this zone. In Manny Pacquiao however, he is facing an opponent unlike any before, and one who has a legitimate chance of pulling off the upset. Manny Pacquiao is widely regarded as the best offensive fighter in the past 25 years. The Filipino&apos;s dynamic attacking style has made him one the most feared men in the sport, rising through an incredible 8 weight divisions and scoring knockouts in all of them. At only 5ft6 it seemed impossible that Pacquiao could go up against the likes of Miguel Cotto, Antonio Margarito and Oscar DeLaHoya - men who would outweigh him in the ring by almost 20lbs. But he not only competed with them, he gave them career defining beat downs. 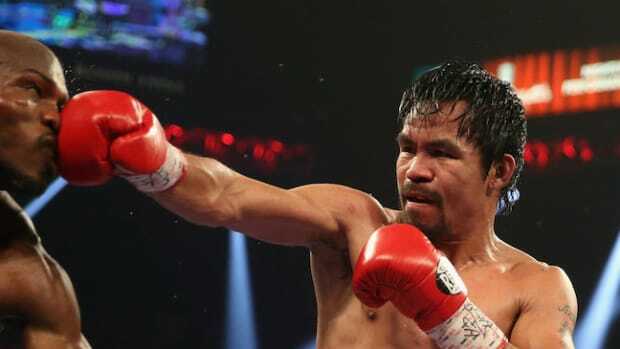 Pacquiao&apos;s south paw stance and hugely unconventional punching angles makes him a nightmare for opponents. Pacquiao has incredible footwork allowing him to close distance on opponents in the blink of an eye. Combined with his blindingly fast hands, Pacquiao can simply get off before his opponent can making game plans fly out of the window and all thoughts of offense disintegrate. Pacquiao opponents often look like deers caught in the headlights - they cannot deal with his speed or relentlessness, and resort to covering up to stop the onslaught. Pacquiao&apos;s use of angles is also mightily impressive. He can attack, then pivot out of danger while still attacking - a feat no boxer today is capable of. And when Pacquiao attacks, his opponents feel it. Shane Mosley, known for his legendary ability to take a punch, said after fighting Pacquiao: "I get hit by bigger guys all the time and there&apos;s no dazing, I don&apos;t wobble, I don&apos;t do any of that stuff. I don&apos;t feel like I&apos;m getting ready to wobble or anything. With Pacquiao, he just touches you and you&apos;re already wobbling." So how will the fight play out? Can the master boxer keep his undefeated record and tame the marauding Pacquaio? Or can the 8 weight champion force the defensive fighter out of his shell and land enough punches to win enough rounds to take the fight? 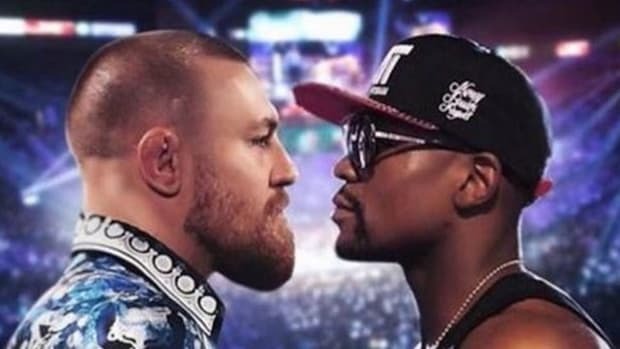 It is unlikely we will see a knockout in the &apos;Fight of the Century&apos; - the stakes are far too high and both men will have prepared far too well. While Pacquiao is known as an aggressive fighter who looks for the knockout, he has mellowed in recent years after a religious experience. He was also badly knocked out by Juan Manuel Marquez back in 2012 and emerged a more calculating fighter who thinks far more carefully about his assaults. He knows that attacking the best counter puncher in the game recklessly would spell disaster. Mayweather is also unlikely to come out aggressively. Given Pacquiao&apos;s unorthodox punching angles he will not want to get caught with something stupid early on, and will cautiously gage distance and get his timing down as the rounds wear on. This could make for a less exciting fight for the fans, but it will be an intriguing test of skill and nerve nevertheless. The fight really boils down to activity. If Pacquiao can keep the pressure up, dart in and out and throw 100 punches per round, he has a very good shot of beating Mayweather. The American is 38 years old and his legs are not what the used to be. Pacquiao is no spring chicken at 36, but he has shown great form of late and appears to still be able to go 12 rounds on his toes with no problems. 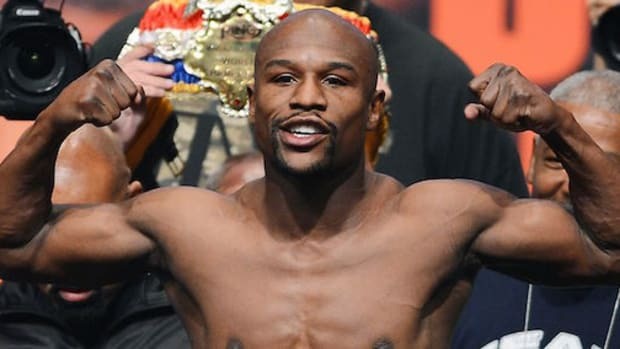 It is almost guaranteed that Mayweather will get his distance and timing down as the fight goes on, but there is a good chance he will lose enough of the early rounds to lose on a decision. Predicting a fight with certainty is almost impossible in boxing, particularly at the elite level. 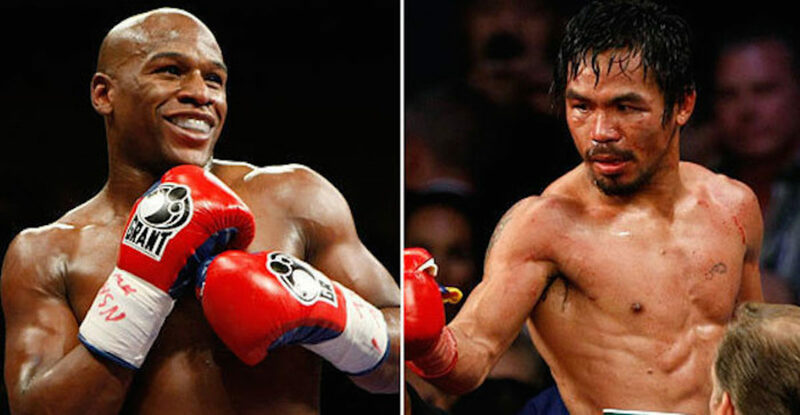 But this writer says that Manny Pacquiao will win a close split decision over Floyd Mayweather on Saturday, setting up a rematch later on this year.